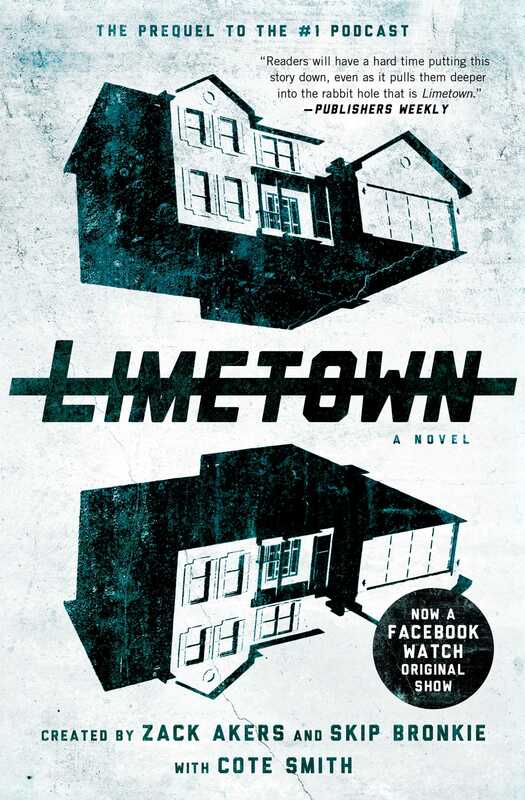 From the creators of the #1 podcast Limetown, an explosive prequel about a teenager who learns of a mysterious research facility where more than three hundred people have disappeared—including her uncle—with clues that become the key to discovering the secrets of this strange town. On a seemingly ordinary day, seventeen-year-old Lia Haddock hears news that will change her life forever: three hundred men, women, and children living at a research facility in Limetown, Tennessee, have disappeared without a trace. Among the missing is Emile Haddock, Lia’s uncle. What happened to the people of Limetown? It’s all anyone can talk about. Except Lia’s parents, who refuse to discuss what might have happened there. They refuse, even, to discuss anything to do with Emile. As a student journalist, Lia begins an investigation that will take her far from her home, discovering clues about Emile’s past that lead to a shocking secret—one with unimaginable implications not only for the people of Limetown, but for Lia and her family. The only problem is…she’s not the only one looking for answers. Zack Akers and Skip Bronkie are first-rate storytellers, in every medium. Critics called their podcast Limetown “creepy and otherworldly” (The New York Times) and “endlessly fun” (Vox), and “readers will have a hard time putting this story down, even as it pulls them deeper into the rabbit hole that is Limetown” (Publishers Weekly). Working with Cote Smith, a PEN/Robert W. Bingham Prize Finalist, they’ve crafted an exhilarating mystery that asks big questions about what we owe to our families and what we owe to ourselves, about loss, discovery, and growth. Threaded throughout is Emile’s story—told in these pages for the first time ever. Cote Smith grew up in Leavenworth, Kansas, and on various army bases around the country. He earned his MFA from the University of Kansas, and his stories have been featured in One Story, Crazyhorse, and Third Coast, among other publications. His first novel, Hurt People, was a Finalist for the 2017 PEN/Robert W. Bingham Prize for Debut Fiction. We’re Thankful for New Fiction in November! Limetown is getting a show on Facebook Watch!